As a child growing up in the 1980’s, I cut my modelling teeth on Airfix and Matchbox kits. A Saturday morning was often spent at the local Hobby shop where I marveled at all the kits on display. 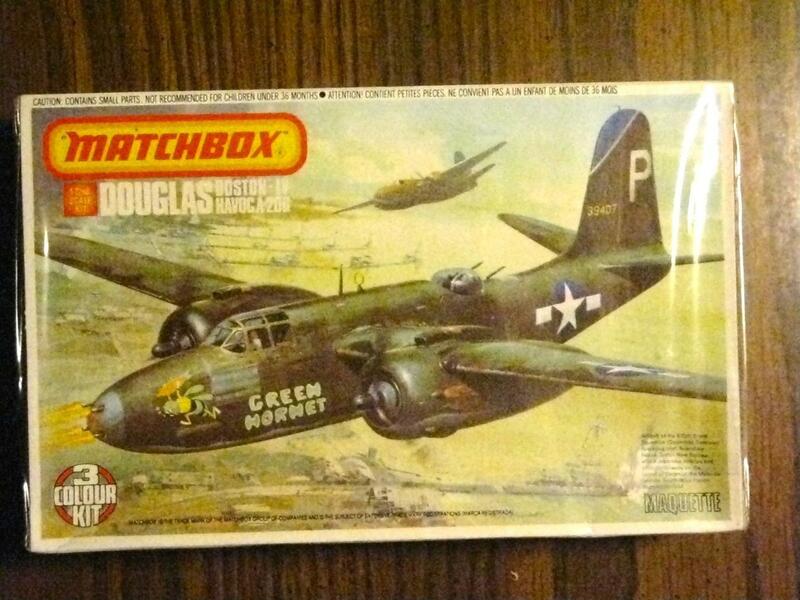 Matchbox kits always had the best box art and their A-20 Havoc offering in 1/72 scale, depicting the “Green Hornet” on an attack run, called out to me. 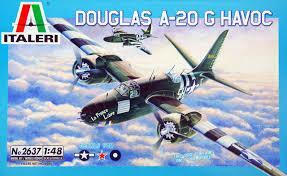 Many years later modelers lamented the fact that their were no 1/48 scale A-20 Havoc. 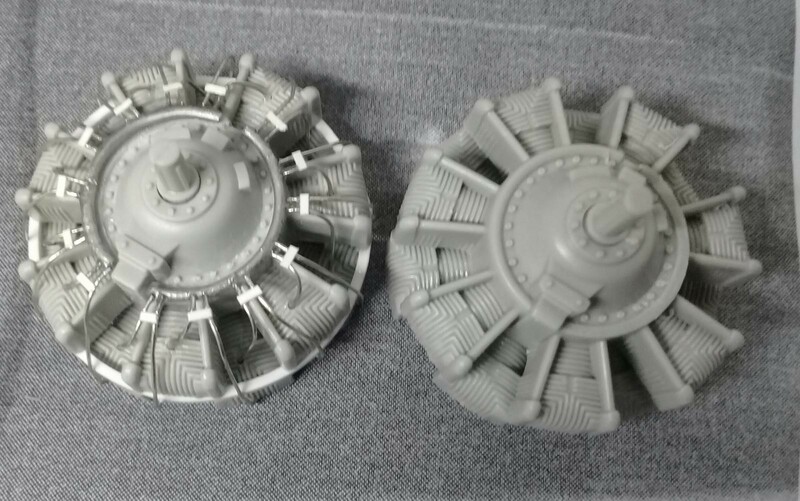 AMT answered their call with their release of the A-20 Havoc. 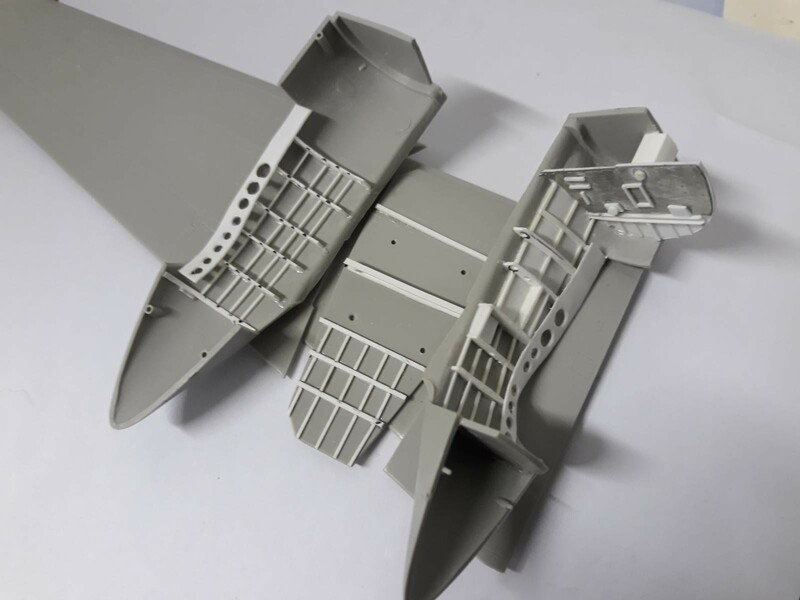 AMT was probably in a rush to release the kit as it has excellent details in the cockpit and rear dorsal turret but the engines and undercarriage bays were devoid of all the details that one would expect from a 1/48 scale kit. Italeri later re-released the AMT kit. I bought the Italeri offering and decided that it had to be in the markings of my childhood favourite “Green Hornet” of the 675th BS, 417th BG. 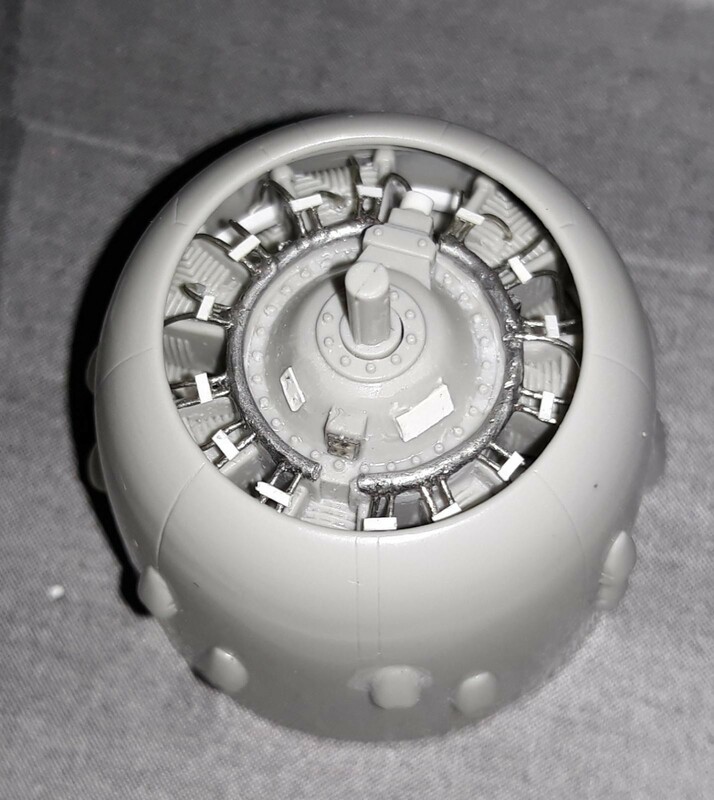 I decided that it would not be an OOB build and that I will add scratchbuilt internal details to the undercarriage bays and the engines. 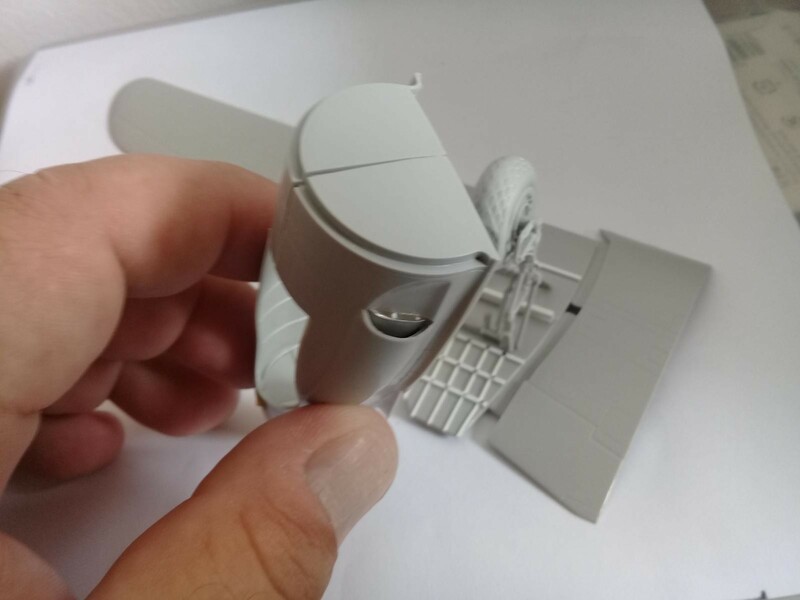 Eduard released a detailed PE set which contained some internal structure for the undercarriage bays but not enough detail to my liking. I always go a bit overboard with scratcbuilding as I find it a very rewarding exercise. 10 attached images. Click to enlarge. Thanks for the nice comment. 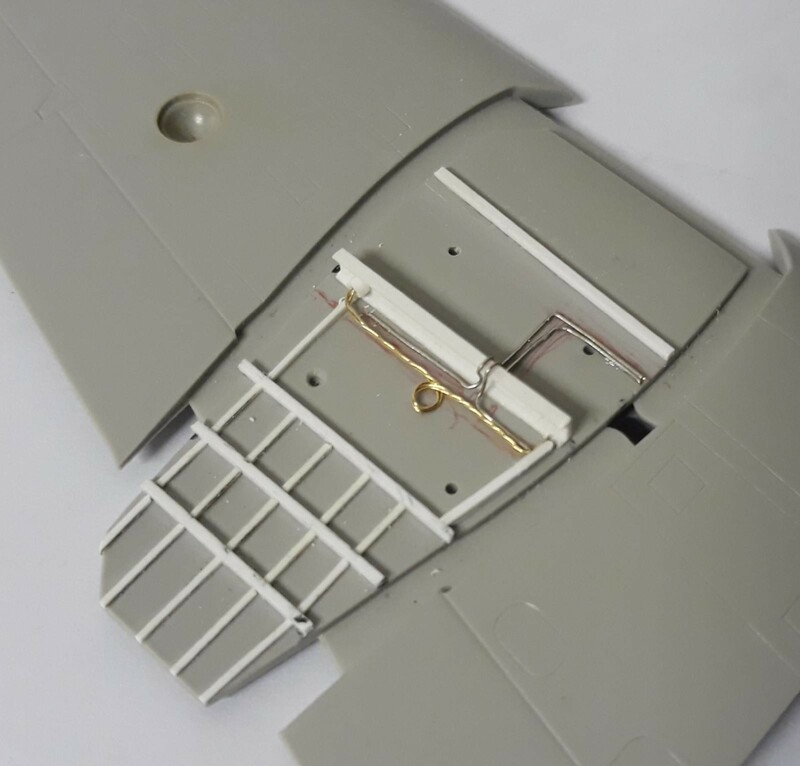 The internal details for the undercarriage bay were made using Evergreen styrene. 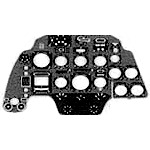 The ignition harness for the engine consists of 0.7mm soldering wire and 0.3mm jewelry wire. 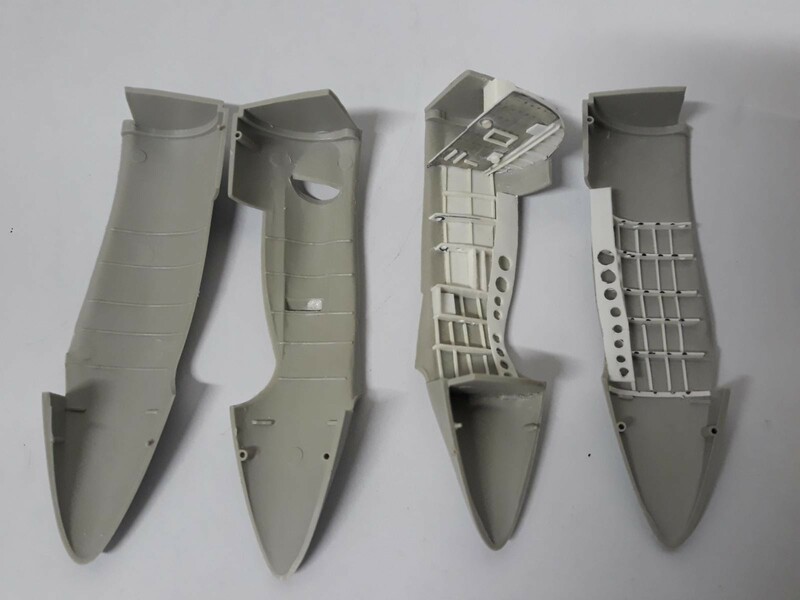 Scratchbuilding is a time consuming effort but a must for the A-20 Havoc. 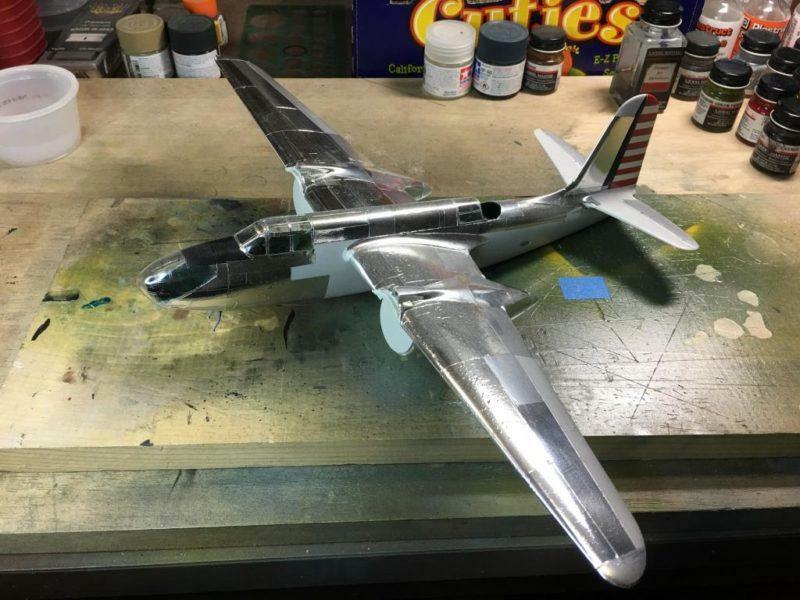 Nicely done Morne, I’ve built several A-20’s and posted them on iModeler. Never added that much detail as you’ve done here,that’s some excellent work. She quite a tail sitter, so make sure you add some weight to the nose or cockpit area. Have a couple more of the AMT kits in the stash along with the Green Hornet decals so I’ll add it to my collection one of these days. Hi Tom. Your A-20’s sure are excellent!! Thanks for the vote of confidence!! I have filled the nose with enough weight. I just hope the undercarriage can carry all the weight! I will replace the nose guns and turret guns with Quickboost perforated barrels for that added bit of realism. Well done! – really looking forward to more on this one. That’s really high end work in those gear bays, Morne! I’m going to be following this one closely because I have one in the stash begging to be built. Thanks John. The gear bays are crying for attention. Sad that AMT neglected this part of the kit. Granted only small part of it will be visible but it sure looks nice! WOW Morne !!! Those gear bays look excellent…………… Like the others on here, I also have a few of these left in the stash (and a natural metal one on the shelf of doom). This is how mine will hopefully look once completed. PLease continue with this build journal and count me in as following it closely……… You might even persuade me to finish mine………. I need to strip some of the Bare Metal Foil off it and start over. Fabulous. Takes a whole lot of patience and a steady hand and mind to do this work. As Louis says, give us more. WOW Louis that Boston sure looks great!! Thanks for the nice comment. I am currently detailing the landing gear. 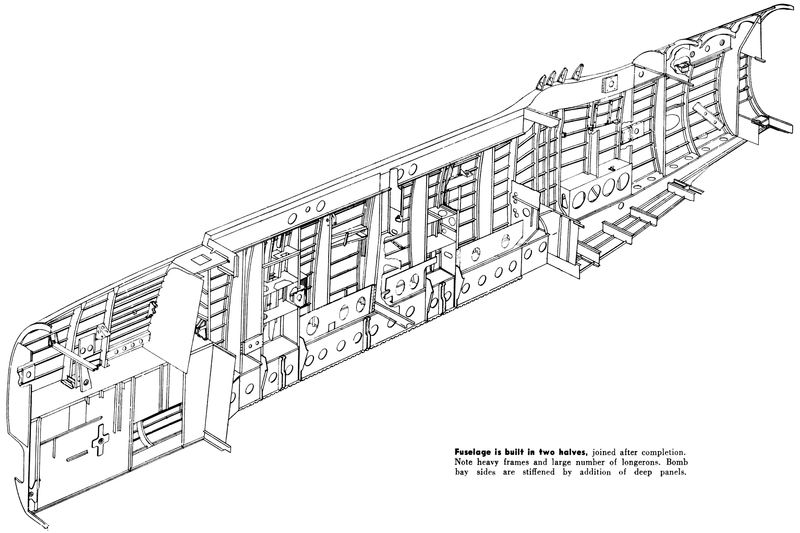 I came across some excellent cutaway drawings showing the interior structure of the bomb bay and rear compartment and wonder if I should not scratchbuild that as well. I will definitely keep you posted. Thanks David. Takes a great deal of patience to do scratchbuilding. Took me 5 days to get this far and that’s just one of the gear bays done. 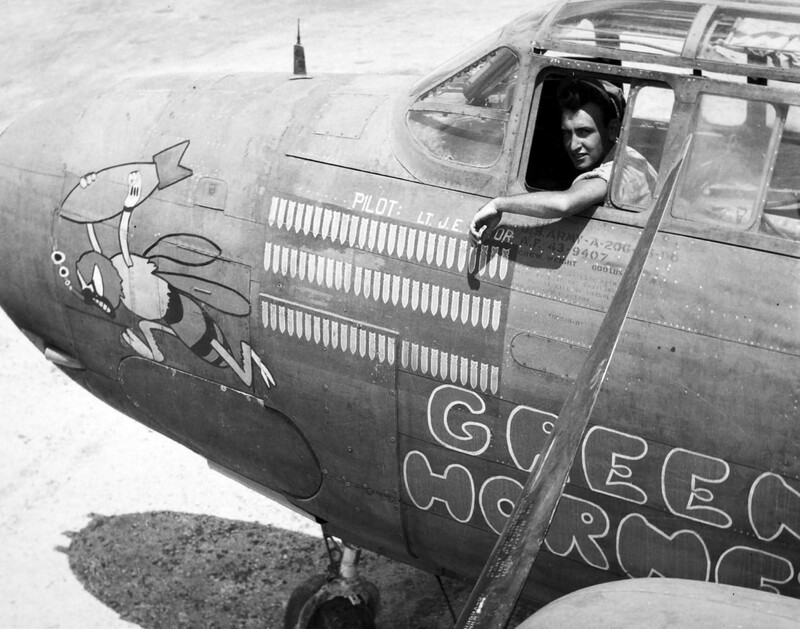 Ed Heinemann and Jack Northrop worked together to design the A-20 Boston as a private venture. 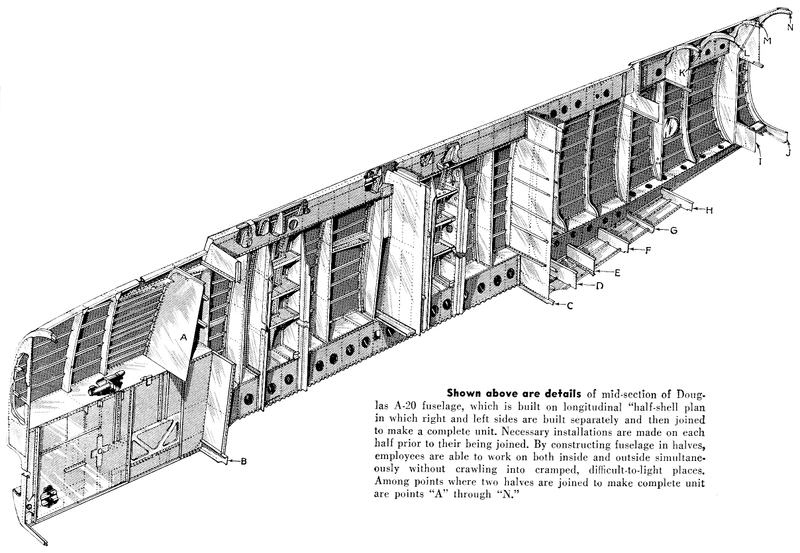 The genius of these two legendary designers are quite evident in the structure of the A-20. 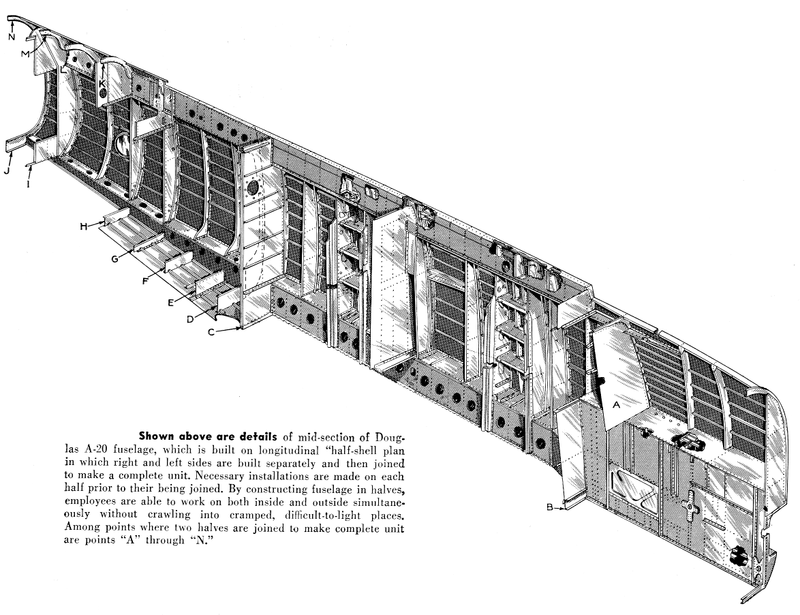 To make production easier, the fuselage was built in two halves which allowed workers to work on the inside and outside of the fuselage simultaneously. The narrow fuselage necessitated this approach. 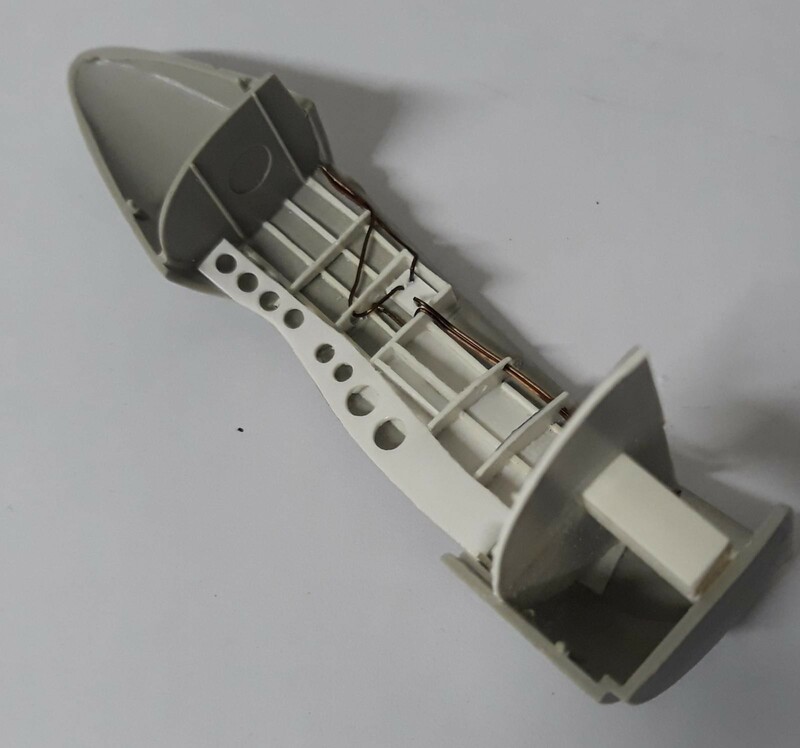 So the A-20 fuselage was assembled and joined together in the same way a modeler will join two fuselage halves together (hopefully not using any adhesives). Your scratchbuilding will make all the difference in this kit. I have built this kit a couple of times but never took the time to do the detailing that will bring it up to a higher level. Looking forward to the rest of the build.